My sister graciously offered to throw me a baby shower and wanted a list of addresses., I will be sending her email addresses. While I love receiving a invitation in the mail – it no longer fits my style. The invitation arrives, I place it on my refridgerator. And then there is the e-invitation. Yes, they may not be as cute. Most are down right tacky, but all-in-all they just make sense. I admit, I am totally guilty of spending $100’s of dollars on making invitaitons. I love the creative process. I see it as a project – but I came to the realization that it’s a waste. And to make matters worse, Mr. Post Office charges about 44 cents a piece to mail. That adds up, quickly. Evite is great if you’re gonna party like it’s 1999  because that’s where the site has been stuck for nearly a decade. An email arrives announcing a fete, but it’s short on deets. You’re forced to click to an ad-choked Web page, then another to RSVP, and then back to the first to see the info again. That faint sound you hear? It’s coins tumbling into the pockets of media conglomerate IAC/InterActiveCorp, which acquired the site in 2003. And that, of course, is the point  all that clicking means dollars for them. This is an interesting concept, Paperless Post – nice looking cards, decent cost – but not the advertising. 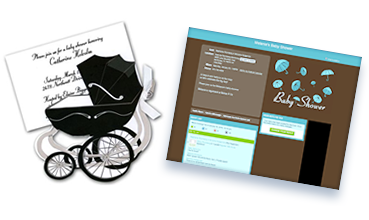 Out with the old, in with the new – newsspapers, magazines, giftcards, photos, invitations – what’s going digital next?